PT. Sun Indonesia provides great opportunity for those who are interested in pursuing careers in Ink Refill and CSIS modification technology Company. Click this link to see more detail information. With the high demand of English competency in today’s global era, Indonesians are to master English so that they can compete globally. 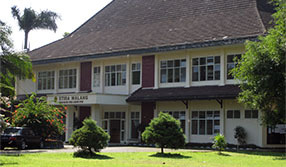 Hence, in order to encourage the use of English in the society, STIBA Malang is going to hold a one-day English Story Telling Competition for Senior High School students around Malang. This competition is going to take place on January, 23rd 2016 at STIBA Malang, Jl. Terusan Danau Sentani 97 Malang with the theme of Indonesian Folklores. Students interested in joining this story telling competition can check this poster for more detail information. Kegiatan Rapat Terbuka Senat STIBA Malang dalam rangka Wisuda D-3 & S-1 yang telah dilaksanakan hari Sabtu, tanggal 21 Desember 2013 di Best Western OJ Hotel, akan ditayangkan oleh stasiun televisi Malang TV pada: Hari Senin, tanggal 30 Desember 2013, pukul 19.00 WIB.